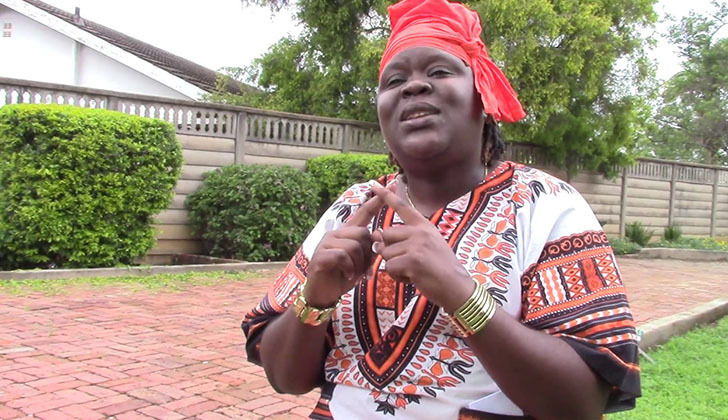 National Spokesperson of the Thokozani Khupe led MDC Linda Masarira has written a letter to Youth, Sports and Culture Minister Kirsty Coventry advising her to lead in the construction of a National Arts and Music Mausoleum where arts heroes will be buried. "In honour of our great legend Oliver Mutukudzi can the Ministry of Youth, Sport and Culture invest about $5 million in the Tuku Culture and Arts Museum. This should be a tourist resort area which can create value out of intellectual property such as the. Tuku Music Brand." Masarisa said. "We also need to think outside the box and consider the construction of a National Arts and Music Mausoleum, were great artists, musicians, actors, actresses, etc will be buried. It will also serve as a tourist site where we showcase Zimbabwe's finest arts." Masarira said artistes deserve a separate recognition that is detached from the one given to politicians through the ZANU PF politiburo. "Our music and arts industry deserve their own recognition which is separate from political shrines. The government of Zimbabwe did well by acknowledging Oliver Mtukudzi as a National Hero How many tourists ever go to the heroes acre? I hope this is an idea your ministry can expand." Meanwhile the National Arts Council of Zimbabwe and some ZANU PF provinces and Norton member of parliament Temba Mliswa have written to the ZANU PF politiburo requesting that a national hero status be bestowed upon Tuku. Condolence messages continue to pour from all over the world with South Africa's President Matamela Cyril Ramaphosa calling himself Tuku's number 1 fan in the world.